Apple's foray into large-format touchscreen productivity is by its very nature incapable of being the same kind of standalone workhorse as Microsoft's Surface line, a spokesperson for the Redmond-based company said this week. "Microsoft really wants you to only carry one device for tablet and PC use," Microsoft's Dan Laycock told TrustedReviews. 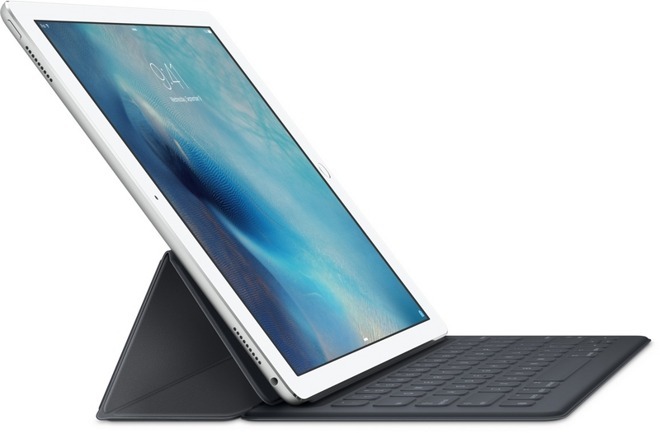 "Whereas the iPad Pro is always going to be a companion device." Part of the reason for this distinction is the differing approaches to applications and content, Laycock noted. Apple based the iPad Pro on iOS rather than Mac OS X —shutting out many professional desktop applications —while the Surface runs Windows 10. "We don't see it as a one-to-one comparison, because this [the Surface] is a full PC, you're running full apps," he said. Laycock also dredged up late Apple CEO Steve Jobs's famous rant against styluses while reiterating Microsoft's own bona fides. "At one point in time, Apple declared that if there's a stylus, that's failure," Laycock said. "We're a huge believer in the pen; we know our customers love it."